This chapter provides insight about links between parenting practices and youth well-being. We begin by providing comprehensive definitions of well-being and parent-child relationships in the context of positive psychology. Findings from empirical studies documenting associations between aspects of the parent-child relationship and indicators of youth well-being are summarized. Taken together, this body of research suggests that high levels of authoritative parenting practices, such as warmth/responsiveness/emotional support and firm behavioral control, co-occur with subjective well-being in adolescents. 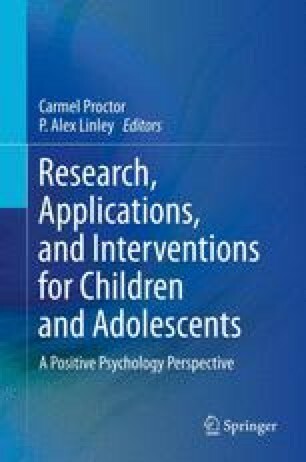 Applications of these findings are extended to interventions which target parenting practices as a way to promote positive outcomes for youth, as well as interventions focusing on increasing parents’ positive emotions and subjective well-being as a method to improve youth well-being. Additionally, theoretical frameworks for integrating positive psychology into clinical work with families are described. Lastly, practical recommendations are provided along with directions for future research.